Sometimes you might just need a break but don’t have the funds to go aboard. Or maybe you’re not one for flying but are on the look out for things to do and places to visit in the Uk . I’m sure that there is something for everyone to do and see in Suffolk. Ickworth park is a natural trust park that is jam-packed with things to do. Like most natural trust parks they put on different events throughout the year. If your planning on taking your dog with you to Suffolk this is a great place to take dogs. With miles of parkland to explore. 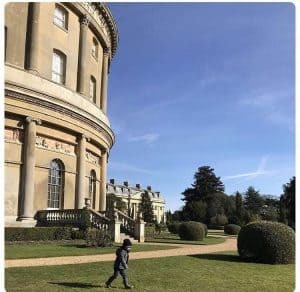 Becka from Mommy EST 2014 says Ickworth Park is a National Trust property with amazing woodlands, trails, a big wooden play park and beautiful house and grounds. Lovely restaurant with orangery where you can sit and watch out the windows. when I think of going on holiday I think of going to the beach. Even in the UK we can have some lovely weather making the beach the place to go. 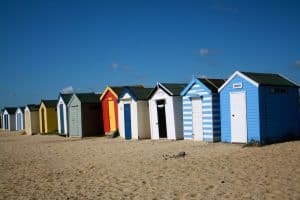 Felixstowe is a lovely section of coastline with so much to do. Southwold is in the north of Suffolk a seaside town on the Suffolk Heritage Coast. There is a working lighthouse, beach huts, award-winning pier, busy harbour and much more in this quintessentially English resort town. 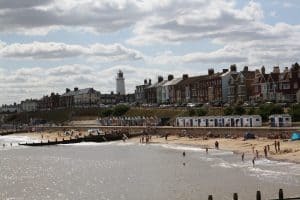 Suzie from Raising badgers says It’s always a pleasure to spend a day – or a week – in Southwold. We have spent hours on the beach and investigating the pier. 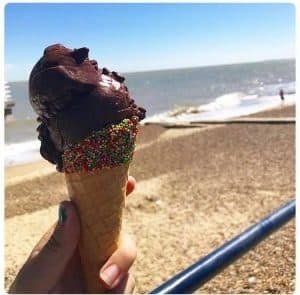 Don’t miss ‘The Under The Pier Show’ with it’s crazy arcade amusements; a cake in the café, or an ice cream waiting for the water-clock to reach the hour/half hour. There are lots of good independent shops in the town, including a good toy shop in the Post Office, should that be motivating! Southwold also has loads of nice places to eat; the Lord Nelson down by the seafront is famed for its fish and chips! We are a lover of going to the zoo or a wildlife park. This is something we love to do as a family and go to them as often as we can. 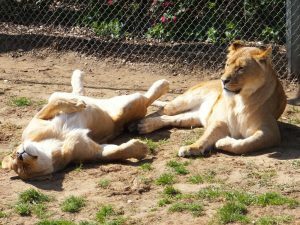 Africa Alice is just south of Lowestoft and specialises in African animals hence the name. It’s a great place for people of all ages and like most wildlife parks its open all year round. It also has a great soft play area so if your kids need to let of some steam away from the animals they can have a play on the soft play area. Check out this fab review from Big Family little Adventures for more information and some fantastic photos from their day at Africa Alive. Now I have given you a taster of things to do and see in Suffolk. I bet you have started to plan your stay. All you need now is somewhere to stay somewhere that’s a home away from home. When I think about going away in this country I think of cottages. These can be costly though right ?? Wrong ! you need to head over to Suffolk Cottage Holidays. They have some beautiful properties available with some great packages. They have cottages for families or couples. How every many bedrooms you will be needing they will have a cottage for you. What’s also great is that they have cottages that are dog friendly. So if your thinking of taking your fury friend with you then you can. 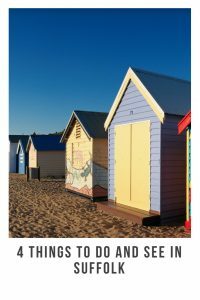 I hope this post has helped you make some decisions about where to go and where to stay in Suffolk. 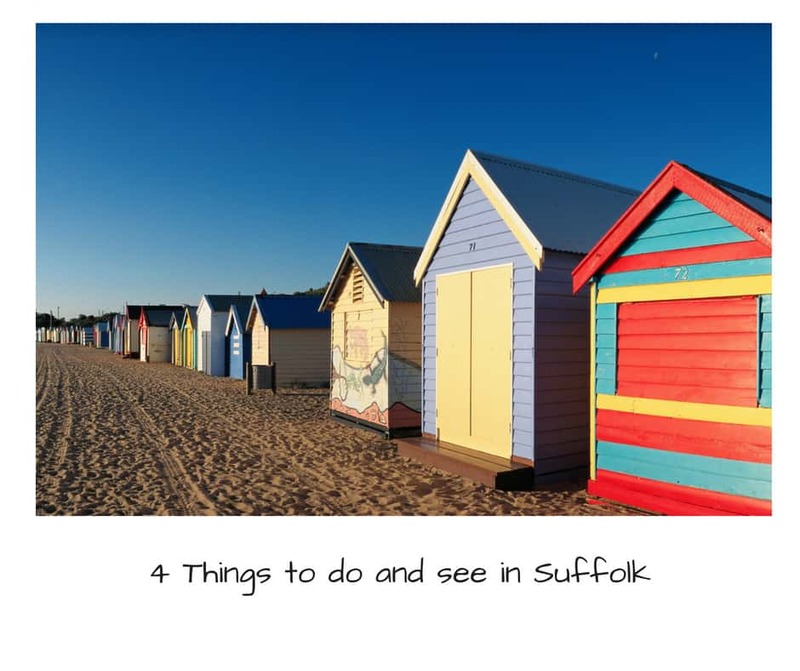 There are so many things to do and see in Suffolk this is really just the tip of the iceberg.